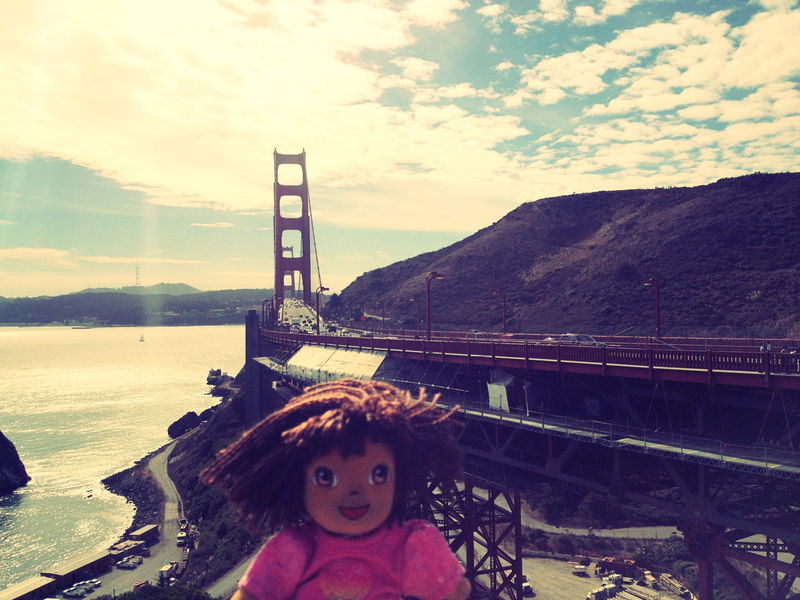 On our way to Sausalito we had to cross one of the most famous bridges of the world: the Golden Gate, the bridge that connects San Francisco “City” with the Marin “County”. I am sure all of you saw at least once in your life a picture of this amazing red bridge, the symbol for San Francisco and California. While crossing the bridge to reach Sausalito I was looking out the window and got excited, having seen that setting many times in movies, books etc. The ride was amazing, we enjoyed stunning views on the Bay; on the right side there was the impressive Alcatraz island with its famous lighthouse and prison (now it is only a touristic attraction because it closed in the late 60`s). Sausalito is not only the name for one of my favorite cookies on earth, but also a lovely picturesque town situated about 15 kilometres from San Francisco. We had a nice walk in the sun through its many local shops (mostly vintage and antiquaries), restaurants on the water enjoying a lovely view on the bay. 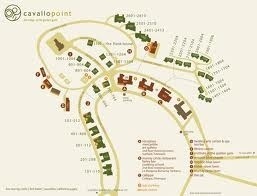 I loved Sausalito’s town, but we had lunch at a great place few minutes by car, suggested by Tosh’s mum, Sally. Actually, I would not define it as an ordinary place. 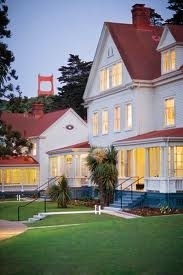 Cavallo Point has been the U.S. Army’s base – Fort Baker – for more than 100 years, now converted into an extraordinary hotel/resort at the foot of the Golden Gate bridge. All the buildings have been restored maintaining the original architecture and decorated in a clean and elegant style. It is named like this for the wild stallions ( in Spanish caballos, pronounced cavallos) that used this beautiful bay to rest and feed. 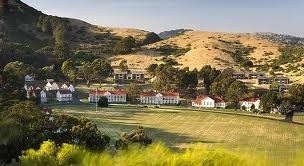 Those animals were definitely farsighted, Cavallo Point is absolutely idyllic and I am not surprised that it has been named one of the top 10 new American landmarks. We had a fresh lunch at the Michelin starred restaurant in the lodge, called Murray Circle; we sat at a table outside watching amazed the Golden Gate bridge cropping up over the hill. The menu was absolutely appealing, but I choose a smoked chicken with poached eggs and bell peppers with bearnaise sauce; I am sure it was a great choice, because the combination, quality and taste of that food was delightful. At night it is possible to enjoy live music at the Cavallo Point Farley Bar, while during the day you can reward yourself in the prestigious Healing Arts Center & Spa nestled in the trees and provided with a heated outdoor meditation pool. I am not surprised to see its many international awards hung on the walls. 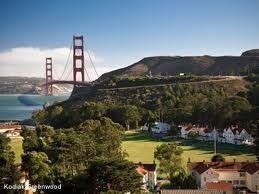 Whether for a relaxing holidays, a honeymoon or a family vacation, Cavallo point is simply the perfect location that you will not want to leave ever. And if you have a mascot, this is again the ideal place since this resort is dog-friendly. I have to admit that my sentimentalism made me dream of myself one day there for a romantic escape in such a cozy, elegant and refined place. Who knows, sometimes dreams can just become true.